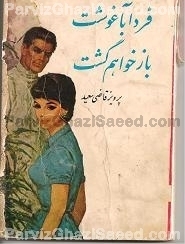 On this site you will find information about Persian books written by Mr. Parviz Ghazi Saeed (پرویز قاضی سعید). 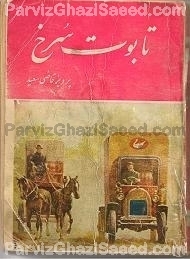 This website is non-profit, purely informational, and is created and being maintained by an old fan and collector of these books living in Canada, and is not in any way affiliated or connected to Mr. Parviz Ghazi Saeed himself. 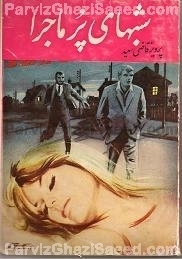 These books were primarily targetted at teenagers, and I had originally read fifteen or so of these books when I was still living in Iran, a few decades ago. 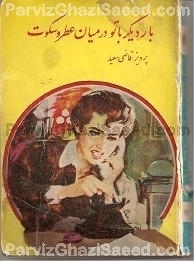 When I migrated to Canada, not only I didn't get the chance to bring any of these books along with me, but worse yet I later found out that my grandfather had got rid of my books after my departure (some of these books were disallowed under the Islamic regime...due to their romantic contents). It took me another 30 years of seeking all over the world, plus hundreds of emails, phone calls and even fax and letters, to be able to acquire original paperback editions of these gems. (3) Action: various independent war or adventure stories. When I was searching for these books, I had various contacts looking for these books for me...So naturally this lead to double-dipping and I received 13 duplicate copies of these books...I obviously accepted to pay for the duplicates, to honor my word. Around the beginning of year 2000s I put these 13 books on sale on the net...and voilà came an email from United Arab Emirates!...showing high interest in these books...a deal was struck...and the buyer told me that he wanted to personally see these books before paying for them...so he flew to Canada a few days later!!! I was surprised given that the trip must have cost him a lot more than the cost of the books altogether! I met him in the lobby of a luxury hotel in Montreal, he was an arab sheik in his late 50s, looked very rich, was very well mannered and quite calm and articulate...he was accompanied by another arab man who was probably his bodyguard... The arab sheik did NOT read or speak Farsi...we maintained the conversation in English...he was actually buying these books for his Iranian wife. He showed me photos of her... she looked very beautiful and was probably no more than half his age...she had seen my ad on the internet and had talked to him about her interest in these books. The sheik being in love with his young gorgeous wife had come to buy these books in person, fully distrusting payments over Internet as he described to me at the time... and wanted to surprise his wife by handing her these gems on their wedding anniversary. We had a few hours worth of talk, he paid me and we parted. After the first phone conversation I went on a search frenzy to find this favorite book of his, which at the time I did not yet own. 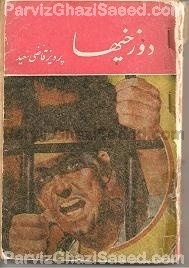 About a year later my perseverance paid off and I finally acquired that rare book, and called Mr. Ghazi Saeed up immediately. On January 2013 I spoke to Mr. Ghazi Saeed Again. 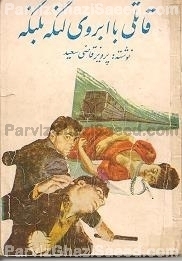 This time my dear author advised me that he had long been searching for yet another book of his, his very last book written in Iran called "Javanehayeh Paeezi". I happened to have this book in my collection, so this time around I was able to mail him a copy, I am proud to say. As a token of appreciation of my gesture, he sent me two autographed copies of his books... two books he had written post Islamic revolution while he lived in exile. 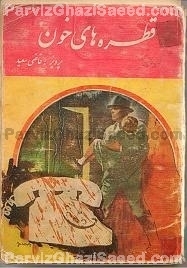 Mr. Ghazi Saeed's writings were appearing first in magazines before being ultimately published in pocket book formats. However some of his writings never made it to being published as a book. 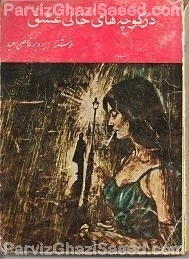 Also, some of Mr Ghazi Saeed's books have been re-published in Post-Revolution Iran, but they are completely re-edited and censored...worst yet Mr. PGS's name is not even appearing on the cover of most of these books...The newest trend is collecting digital versions of the books... But I prefer the original paperback editions, as not only they have not been censored, but they also bring back the nostalgia years. 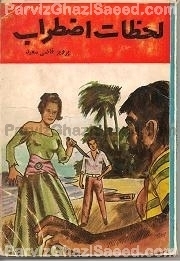 In September 2017, 35+ years after I first read one of Mr. Ghazi Saeed'd books and started collecting them, I finally managed to complete my collection. You could find the list of the books and/or stories in my collection here. I have since started a preservation project in order to repair these old paperback books, and keeping them away from humidity and light, in order to preserve them for decades to come. 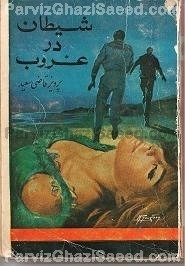 This collection is The Only Complete collection of Mr. Ghazi Saeed's original paperback books outside of Iran, and it could very well be the most complete in the world. 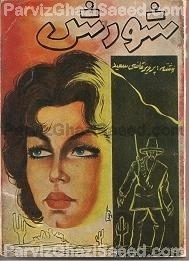 Finally, I like to thank you, Mr. Parviz Ghazi Saeed for all these beautiful books you have written. They brought me hours and hours of joy, suspense, intrigue and excitement when I was a young man...I have read many of your books more than once...I could relate to many of your books in various ways...I never forget the way you described love, lust and passion in your various dramatic stories...and when I was a kid I used to act as if I were detective Loveson...in my heart you are the greatest author in the world....your books, here in the very cold cold cold Canada where I reside, are almost the only things that link me back to my childhood, to Iran, to the place I was born and grew up in; and that gives me warmth.